Pakistan's Finance Minister Asad Umar Monday expressed hope that ties with India will improve after the general elections as he underlined the need to increase regional trade and improve relations with neighbouring countries. The finance minister in his address to the Chamber of Commerce and Industry in Peshawar talked at length about his vision to build trade relations with all neighbouring countries. He said experts mostly from the western world rightly believe that increase in the regional trade including between Pakistan and India is important. But added that it was not immediately possible due to Pakistan factor in Indian elections. "As far as the east (India) is concerned, it seems that (there can be no progress) until elections are over in India. Half of their election campaigns are based on anti-Pakistan rhetoric, so right now they are busy with that. Once the elections are over, we hope that their behaviour will be better," he said. 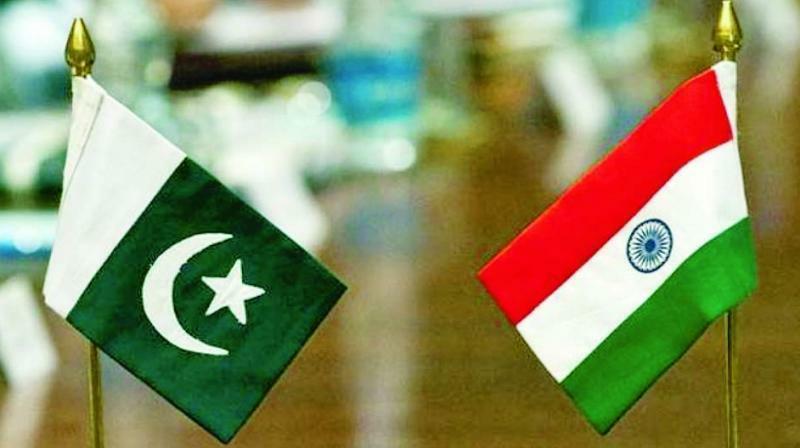 The Indo-Pak ties strained after the terror attacks by Pakistan-based terrorists in 2016 and India's surgical strikes inside Pakistan-occupied Kashmir. The ties further nose-dived in 2017 with no bilateral talks talking place between them. India has made it clear to Pakistan that talks and terrorism cannot go together. Foreign Minister Umar said that Pakistan was looking to also deepen trade relations with Iran and Afghanistan. Umar said trade ties with China were moving upward due to China-Pakistan Economic Corridor but it was not enough as Pakistan needed "to improve relations and boost trade with (countries in) both the west and east of the region." The minister said that Pakistan and Turkey were working on a strategic economic framework to build long term economic ties. He said Pakistan wanted that Iran should also become part of the framework. He said Pakistan would facilitate Turkey to reach India and China and conversely use Turkey for trade with Europe. The finance minister also commented on the Afghan peace process and said that "Pakistan should play whatever role it can" in ensuring peace in the neighbouring country. The finance minister also said Pakistan was in favour of peace in Afghanistan as it there would be no peace in Pakistan unless there was peace in Afghanistan.